Leverkusen - What do you get if you piece together a side made up of numerous attacking talents, a playing philosophy based on pressing opponents high up the pitch and a desire to push forward at every opportunity? Borussia Dortmund, right? 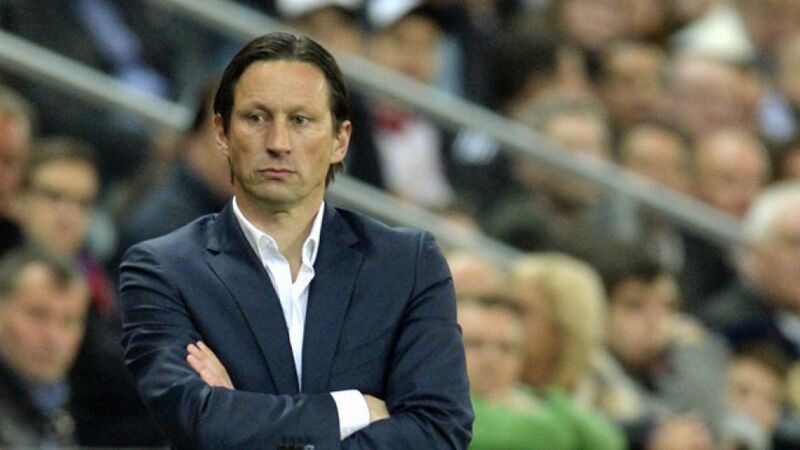 True, but this season Bayer 04 Leverkusen will be competing with Jürgen Klopp’s nimble Schwarz-Gelb ensemble for the mantle of Bundesliga entertainers-in-chief, thanks in no small part to the new man on the touchline, coach Roger Schmidt. “Borussia Dortmund became German champions in 2011 and 2012 because they played a new brand of football,” Schmidt said in an interview with German football magazine Kicker earlier this summer. “They were very brave and willing to cover a lot of ground, and that’s why they were better than Bayern München.” The 47-year-old is determined to instill a similar style with the Werkself, adding that his aim is to “take our destiny into our own hands and not to wait for fate to help us out". It is with that mindset that Schmidt has enjoyed success in his relatively short coaching career so far. “That’s how we played in Paderborn,” he said of his time at his former employers, with whom he narrowly missed out on promotion to the Bundesliga in 2011/12. “You’re always learning new things and you always try to hone a certain way of playing.” He then achieved immense success at his next post in charge of FC Salzburg in Austria, where he won the league and cup double, paving the way for Leverkusen to headhunt him. While it is certainly too early in the season to draw any conclusions, Leverkusen’s displays this summer show they have been taking Schmidt’s ideas on board. An encouraging 1-0 victory over Premier League outfit Southampton FC rounded out their pre-season friendlies, while Bayer were then relentless in their , pressing Alemannia Waldalgesheim high in their own half before romping to a 6-0 victory, with Stefan Kießling netting five. However, the likeness with Dortmund does not end with the teams’ playing styles, as there are also notable parallels in their on-pitch personnel too. Klopp favours hard-running, mobile and versatile strikers and has Adrian Ramos, Ciro Immobile and Dong-Won Ji at his disposal this season; Leverkusen’s front three of Stefan Kießling, Josip Drmic and Heung-Min Son share those exact traits and are equally clinical in front of goal. The forwards are aided by a vast supporting cast of fleet-footed attacking midfielders: Marco Reus, Henrikh Mkhitaryan and Pierre-Emerick Aubameyang among others at Dortmund and , Gonzalo Castro and Julian Brandt at Leverkusen. As luck would have it, the fixture list pitted the two sides together at the Signal Iduna Park on Matchday 1. Who will come out on top of what is sure to be a thrilling spectacle? Tune in on Saturday to find out.